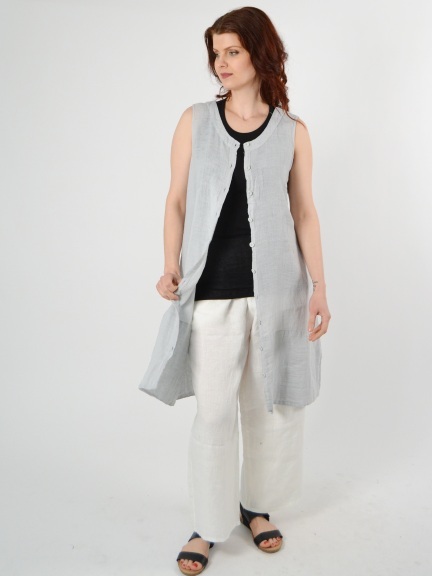 A longer-length sleeveless vest doubles as a tunic or dress. Soft, translucent lightweight linen is ideal for a tropical holiday. A great layering piece is adorned with full length functional buttons and side vents at hemline.